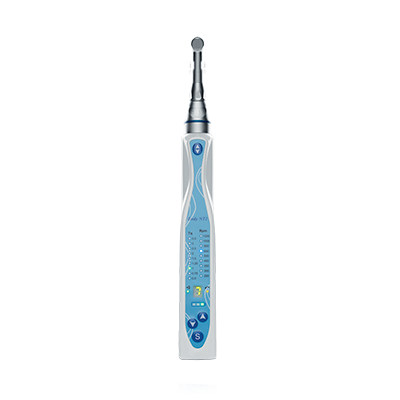 The Endy NT2 enables you to adjust the speed for your file from 250 to 1,200 rpm using the same contra-angle handpiece. A single machine is all you need to treat all of your root canal enlargements. 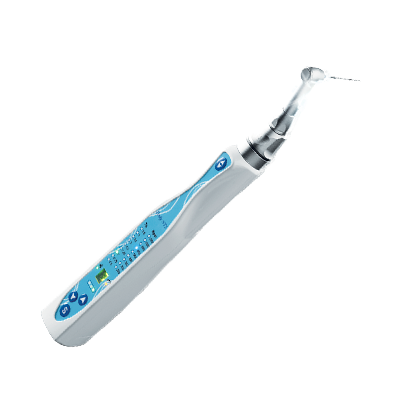 The speed of the Endy NT2 remains constant regardless of the force applied to the file in the root canal. It will not vary, even if the battery is charged less than 50%. The torque is controlled continuously in order to preserve your files. Why should you choose the Endy NT2? The Endy NT2 has 12 onboard memory settings, enabling you to programme that number of speeds and torques adapted to each file used. Programming it is easy and intuitive. 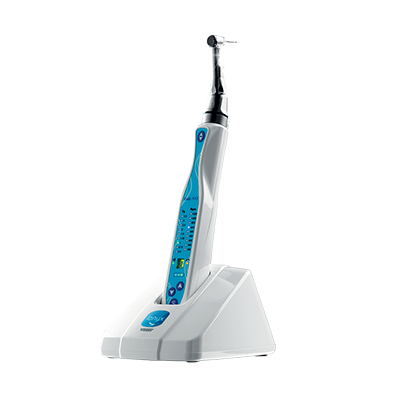 The Endy NT2 enables you to work autonomously for 1 hour with an average torque of 1.5 N.cm (40 root canal treatments noted on average). Its fast charger enables your battery to be fully recharged in 2 hours. Your battery is protected against short-circuiting and from any overheating whilst charging, guaranteeing you full safety. A red indicator light indicates to you that the battery has been placed on the safety setting. The Endy NT2’s electronics casing has a 2-year guarantee. You can order the Endy NT2 by contacting our Commercial Department by mail at ionyx@ionyx.eu or look for a distributor near you !